We’re beyond thrilled to share that the American Grown Field to Vase Dinner Tour has earned the 2017 Marketer of the Year Award from the Society of American Florists’ (SAF) Floral Management magazine. 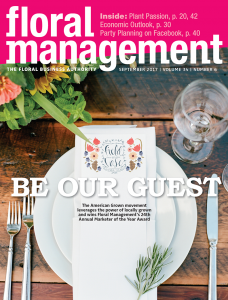 American Grown Field to Vase Dinner Tour earns front page attention in the June issue of Floral Management. The prestigious award recognizes original, highly successful marketing campaigns that increase awareness and the overall sales of cut flowers. What made for the winning entry? We’ve since heard that Marketer of the Year judges were impressed with the American Grown Field to Vase Dinner campaign on several fronts: its professional execution, its distinct branding and its impressive media pick up. But what the judges really liked was the dinner tour’s smart and effective use of experiential marketing that immerses the consumer in a floral experience in such a unique way – they’re on the farm with the farmers and the designers, and then they’re surrounded by the beautifully designed flowers during the dinner, and then they leave with their own bouquet. 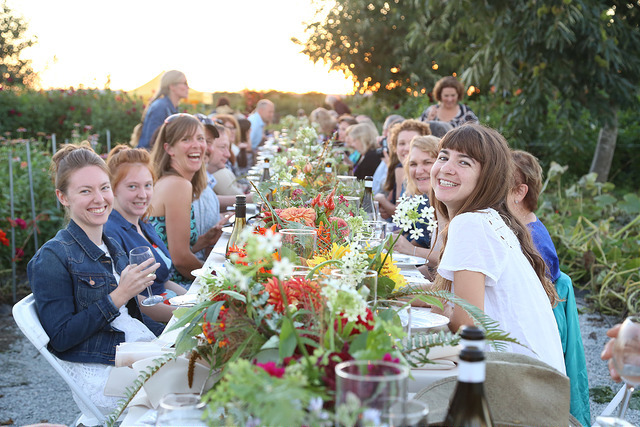 For the uninitiated and the yet-to-attend, the American Grown Field to Vase Dinner Tour is a cross-country series of elegant, intimate pop-up gatherings located on flower and foliage farms from coast to coast. Seasonal, homegrown and sustainable blooming flowers dazzle on beautiful tablescapes elegantly dressed by top U.S. floral designers, while scrumptious meals are prepared by local farm-to-table chefs. At each unique meal and through the accompanying farm tour and design demonstrations, guests make a personal connection between flowers and agriculture as part of America’s floral landscape. Along the way, they experience the age-old art and science of flower farming while being served platters of delicious, seasonal and locally grown fare through four courses, including specialty desserts accompanied by vintage wines, micro-brewed beers and floral-inspired cocktails. 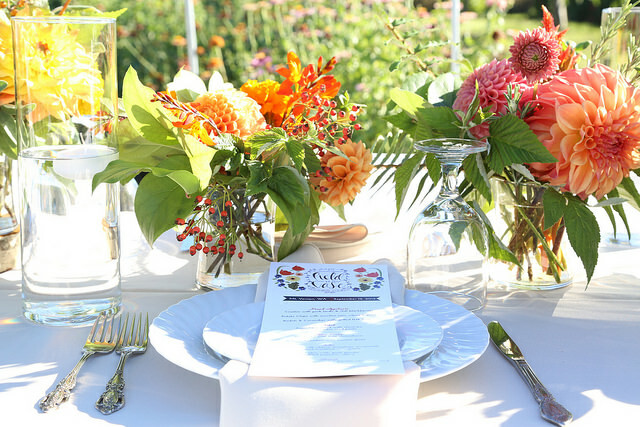 Guests enjoyed a stunning tablescape at an American Grown Field to Vase Dinner at Jello Mold Farm in Mount Vernon, WA. Photo by Linda Blue Photography. Each event includes a tour of the host farm by the resident farmer and a floral design demonstration with one of the nation’s premier floral designers. The recognition is truly an honor. And what it means for flower farmers – now that’s the big news!